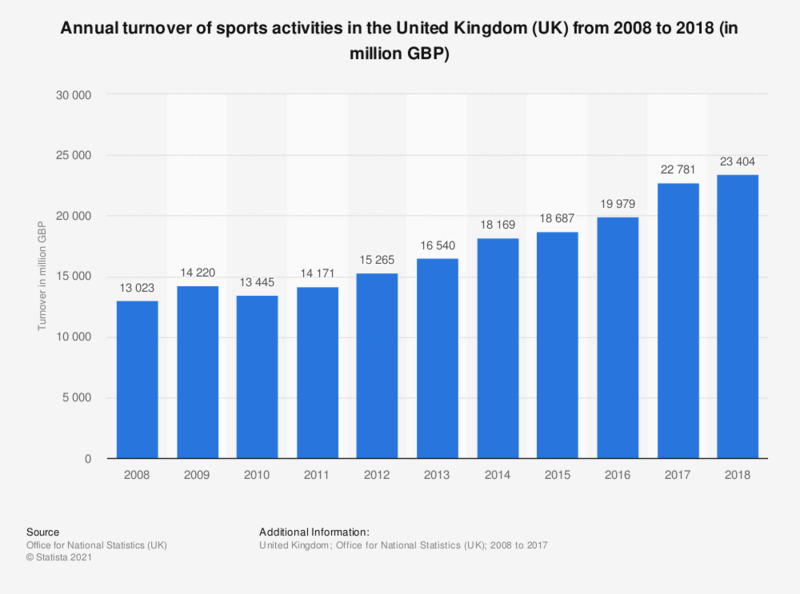 This statistic presents the annual turnover of sports activities in the United Kingdom (UK) from 2008 to 2017. In 2017, enterprises in the sports activities sector generated a total revenue of approximately 22.8 billion British pounds. Further information about sports in the UK can be found in the Dossier: Fitness industry in the United Kingdom. Chile: How many hours a week do you exercise/participating in sport activities? Australia: What sports do you regularly participate in?